Check out the front, side, and back panels to familiarize yourself with button controls and connection options. designed for reliable and trouble-free performance. 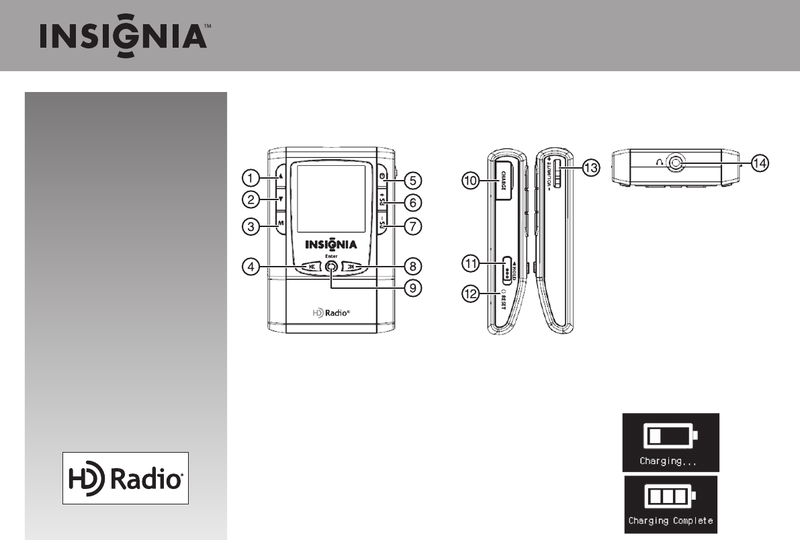 information on using your HD Radio Portable Player. end of the cable to the CHARGE port on your radio. When charging is complete, the Charging Complete screen appears. Note: If you press a button while the battery is charging, the normal display appears. If no button is pressed for 30 seconds, the battery screen reappears.